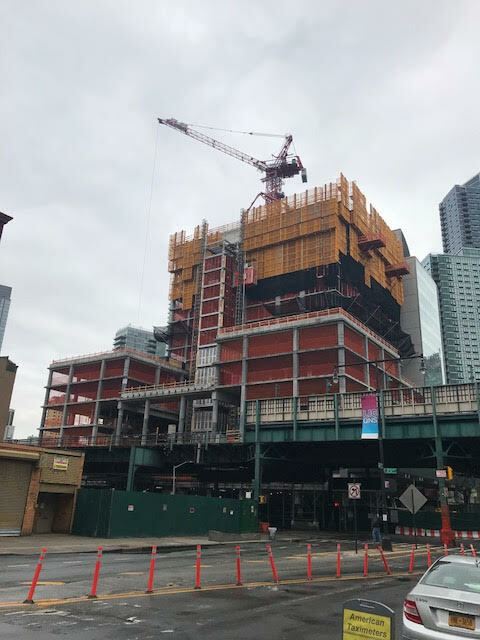 The last time we stopped by 23-15 44th Drive was in January when we saw that signage had appeared for the project.1 Construction is rising quickly for the 78-story, 702-unit mixed-use tower, with the building at 15 stories, as seen in the photo below. The project is supposed to deliver in the fourth quarter of 2021. Grand, elegant and sky-high. 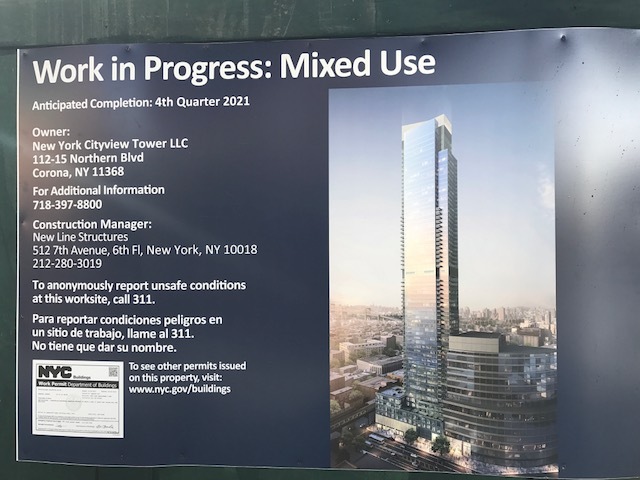 Live an elevated life at Skyline Tower, the tallest condominium in Queens. Experience striking 360 degree panoramic views of Manhattan coupled with best-in-class amenities and iconic architecture. This gleaming 67-story glass tower features distinctive condo residences and inviting community spaces, crafted with the highest standards of excellence.